Cliff Park Ormiston Academy prides itself on the opportunities we provide our learners both in and out of the classroom. 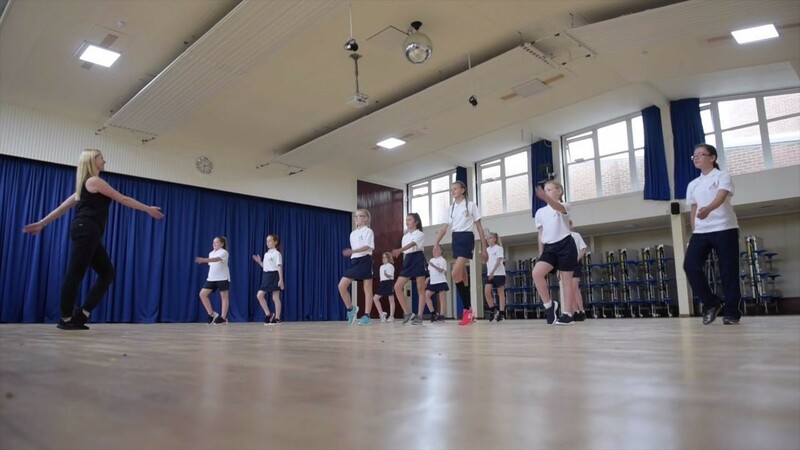 Starting in September 2017, students in Year 7 and 8 will have one enrichment period per fortnight. This will take place period 5 on Wednesdays and students will opt in for an activity each term meaning students will experience three different enrichment opportunities during the year. The activities on offer encourage students to try something new and find ways to achieve their potential through a range of activities they may not have experienced before. 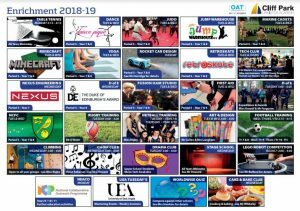 Below are the activities we have on offer throughout the year and we hope we inspire students to gain the confidence and drive to find a passion for something new. The Enrichment Charter highlights 10 key areas of focus in order to ensure that young people are inspired to develop their skills, talents and character through a wide range of activities. The Charter challenges us as an academy to continuously develop our enrichment opportunities in order to encourage students to use their curiosity and creativity to find new ways of achieving their potential and to have the confidence, drive and resilience to follow their dreams. Please note: Whilst every effort is made to ensure that all advertised trips take place, the academy may have to postpone or cancel specific events if the minimum number of required places is not met.